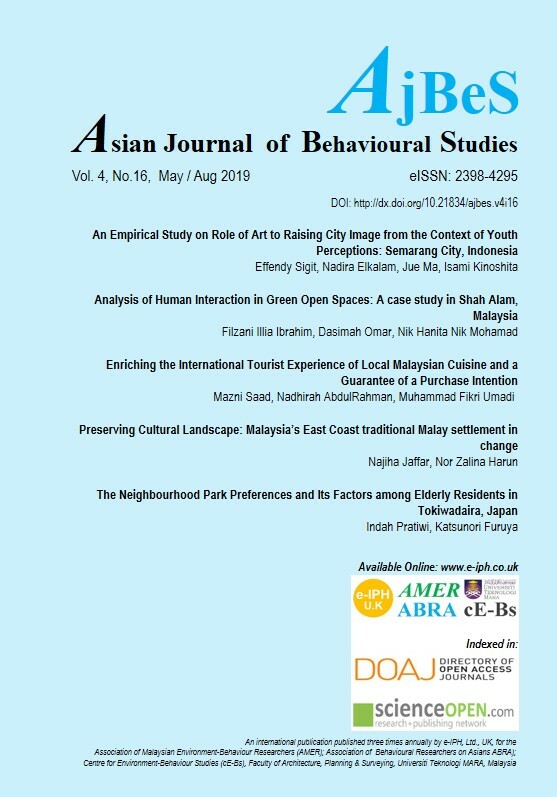 The AjBeS is an international multidisciplinary Open Access Journal which adheres to the BOAI definition of open access: that users have the right to ‘read, download, copy, distribute, print, search, or link to the full texts of these articles’. It is currently indexed in the DOAJ and SCIENCEOPEN. It publishes double-blind peer-reviewed, original research articles relating to human Behavioural issues affecting the Asian communities living in both the Asian and non-Asian countries, worldwide. Successful articles published had attained an equivalent minimum score of 90% for the English Language and Similarity Index (Plagiarism) of not more than 30%, based on Grammarly. Articles should be about 4,500 words (excluding References) to be submitted as per the Journal Template (which includes payment instructions), together with the Pub Agreement and non-refundable Article Submission Charge @ USD50.00 per article. The Article Processing Charge (Publication Fees) is @ USD150 per article, for successful article to be published. Commencing 2019 the AjBeS shall be published three times annually. Published by e-IPH Ltd UK.